Why Do I Need to Hire a Plumber for Gas Piping? “Gas pipes” are not what most people think of first when they think of professional plumbing. “Plumbers” are people who work with pipes that carry water and sewage, as well as do installation and repair jobs for faucets, sinks, garbage disposals, sewer lines, etc. All parts of the freshwater and wastewater system of a home or commercial building. But natural gas pipes are an important part of the services many professional plumbers offer. Not all, but if you are looking for a plumber in Santa Ana, CA or elsewhere in Southern California to take care of the gas piping for your home or business, you can depend on us. We’re a full-service plumbing company that can handle jobs big and small. There’s a lot in common in the piping for a plumbing system (i.e. freshwater and wastewater) and the piping that carries natural gas. For example, the pipes are made from similar materials: galvanized steel, copper, and plastic. The majority of natural gas piping is made from copper because of its corrosion resistance and light weight. Gas plumbers use plastic pipes for some specific uses, such as flexible piping for small areas and narrow gas lines. A well-trained plumber knows that it’s vital to make sure gas piping has the same attention as other types of piping so there are no threats of leaks. In fact, in most jurisdictions, it’s illegal for anyone to work on a pipe or appliance connected to a gas main unless they have a special license to do so. Not only are professional gas plumbers the only people with the skill to do the job, they are the only people who are allowed to do the job. There’s good reason for this limitation! Leaking gas lines are tremendous health hazards. Make sure you stay safe and see that properly licensed professional plumbers handle all your gas piping services. Are You Looking to Expand Natural Gas Use? For your home, you may be considering changing out an old electric clothes dryer for a gas-powered one—a much more powerful unit, and also less expensive to run. To have the new gas lines put in to run the laundry machine, you’ll also want our professionals to do the work. 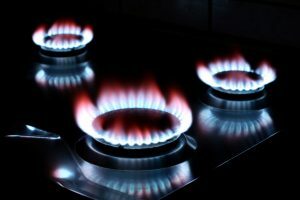 We encourage both homes and businesses to look into ways to increase their use of natural gas, which is a clean-burning, inexpensive fuel that’s domestically produced and readily available. Sweetwater Plumbing serves Southern California. We are always open for business! Posted in Plumbing | Comments Off on Why Do I Need to Hire a Plumber for Gas Piping? There are few businesses that won’t rely on hot water in some fashion. It might be simply for the taps in the employee bathroom. Or it could be one of the essential parts of running a food service company. If you are a business owner in Southern California, it’s likely that you’ll need a water heater. If you are currently in the market for a commercial water heater, either as a replacement unit for your old water heater or as the first installation for a new business, you must turn to experienced commercial plumbers to handle all the work, from selecting the new system to the final tests before it starts working.